Q. President Trump’s on-again-off-again troop withdrawal from Syria is bewildering. The latest report is that ordnance is being removed as phase one of “the process of deliberate withdrawal”. How seriously should we take this? How consistent is it with US Middle East policy? A. President Trump’s knee-jerk decision a few weeks ago to pull America’s 2000 support troops from eastern Syria is, like most of what Trump does, quirky and devoid of a foundation in strategic thinking and careful deliberation. Yet it is consistent with a US desire to reduce its military profile in the Middle East that goes back to the Obama administration. Obama justified his 2011 withdrawal of troops from Iraq and his refusal to back up his 2013 chemical weapons red line against Bashar Assad in terms of Washington’s need to “pivot” to the Far East. The Trump administration cites the need to prioritize confronting Russia and China. Obama thought he had defeated ISIS in Iraq; Trump thinks ISIS is defeated in Syria. And it was already clear in Obama’s day that US dependency on Arab oil was no longer a major factor in America’s Middle East calculations. What is so jarring about the Trump decision is, first, the typically off-hand way it was made: in an “it’s all yours” (referring to Syria) phone call with Turkey’s President Erdogan. There were no serious consultations with allies who are also closely involved: the Europeans, Israel and Jordan. Indeed, there were no consultations with Trump’s own closest advisers, which explains the resignations of Defense Secretary Mattis and State Department Syria troubleshooter McGurk. A second disturbing factor is the way the decision was then clumsily walked back by Trump himself and his closest advisors, Bolton and Pompeo. It won’t be carried out immediately but (here a Trump-Netanyahu conversation is cited) gradually. Actually, ISIS is not completely defeated. Note the double-speak: “President Trump has made the decision to bring our troops home from Syria. . . but this isn’t a change of mission” (Secretary of State Pompeo in Cairo, January 10). And a third factor that, for the region, is no less than mind-boggling, is that nowhere is the Iranian presence in Syria cited as a factor in Trump’s decision to withdraw. Indeed, it is only the threat to deny US economic aid in rehabilitating war-torn Syria that is linked by Pompeo’s State Department to an Iranian withdrawal. Q. What signal does this send Israel? The pro-western Arab states? A. Obama did not object to Iran’s hegemonic drive west through Iraq, Syria and Lebanon to the Mediterranean when he was negotiating the JCPOA nuclear deal with Iran. He believed--erroneously, in my view--that Iran could actually contribute to stability in the Arab Middle East. Along comes Trump--whose administration vehemently opposes Iran and the JCPOA with boycotts and regime-change threats--and by omission signals that Iran’s military presence in Syria is not a reason for the US to keep troops there. In both cases it is seemingly all about ISIS, not Iran. Israel and Jordan, which see Iran as a venal hegemonic force in the region with or without the JCPOA, find this troubling. Of course, one can argue reassuringly that 2,000 US troops deployed far from the Israel-Syria border cannot possibly make a difference in any future Israel-Iran conflict on Syrian soil and that the US Sixth Fleet and numerous US air bases all remain in the region. But this is where the symbolic level of US Middle East deployment comes in. The small American military contingent at Tanf in southeastern Syria near the Syria-Jordan border has helped deter Iran from moving its own and mainly its proxy forces westward from Iraq toward the Golan and Lebanon. Remove it, as Trump presumably intends, and you send Iran a signal that it has greater freedom to maneuver near Syria’s borders with Jordan and Israel. Q. The bulk of the US troop contingent in Syria is not in Tanf. It works with the Syrian Kurds in the north against ISIS and deters Turkey from attacking them. Where do Turkey and the Kurds enter the picture and why is this significant for Israel? A. Some Syrian Kurdish rebels who fought Syria in recent years are now, in anticipation of US withdrawal from northeast Syria, asking one enemy, the Assad regime, to protect them against another, Turkey. Russia is also involved in mediating between Turks, Kurds and Syrians. From the Syrian Kurdish standpoint, and as seen by regional forces like Israel who are sympathetic to the Kurds, the US withdrawal constitutes one more historical abandonment of Kurdish aspirations. The Kurds were useful in fighting ISIS and as a US bargaining card vis-à-vis Turkey, but now they are dispensable. Ultimately, the Syrian Kurds will be subdued by Turkey, Syria or both. What the region, including Israel, learns is that you can’t rely on outside support for your legitimate aspirations to attain independence or even autonomy. Turkey, on the other hand, has learned that it can’t rely on the US in the region either. This explains Erdogan’s rebuff of efforts by National Security Adviser John Bolton to coordinate with him. At this point, the Turks quite demonstratively prefer to work in Syria with the Russians. Q. 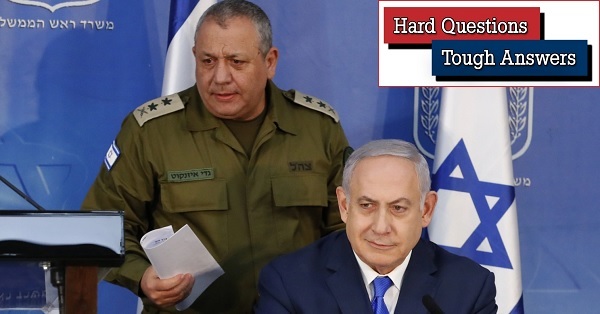 Is the US withdrawal connected to recent statements by departing IDF Chief-of-Staff Eizenkot and PM Netanyahu in which they take responsibility for thousands of attacks against Iranians in Syria and claim success in blocking Hezbollah’s cross-border tunnels? A. Ostensibly, Eizenkot was setting the historical record straight before, this Monday, retiring from active service. Netanyahu parroted him to share the credit as elections approach. But in fact the strategic underpinnings for these statements run deeper. 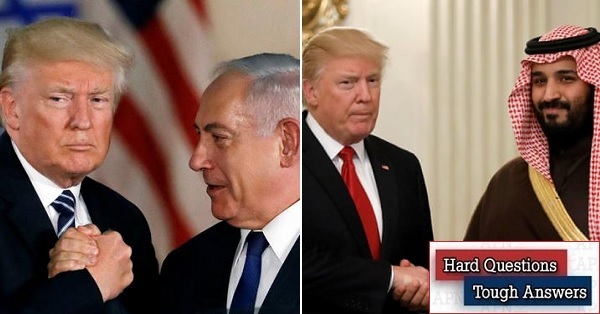 First, with the US departing Syria, Eizenkot and Netanyahu apparently feel that Israel’s successful interventions in Syria and regarding Hezbollah should be known to all parties in the region by way of a deterrent message: American forces may be leaving, but Israel functions very will against its enemies without the US. 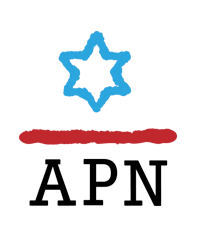 Second, the recent US initiative to convene an “anti-Iran conference” in Poland in February, which is in many ways an attempt by Pompeo and Bolton to balance Washington’s Syria withdrawal in the eyes of both Iran’s friends and enemies, presumably will not include an invitation to Israel. But participants are being put on notice that someone in the region--Israel, not the US--is already deeply involved in countering Iran and its proxies. Third, and in a far less positive light, with Israeli elections approaching, Netanyahu in particular is bragging openly about Israel’s accomplishments against Iran in order to score points with the Israeli electorate. But here Israel is liable to pay an escalatory price. Publicly rubbing the noses of Tehran, Damascus, Hezbollah, even Moscow in Israel’s military achievements denies them the capacity to ignore Israel’s attacks and tunnel-sealings and not retaliate, which would risk escalation. In other words, it denies them deniability. Will they now feel obliged to escalate? And will this destabilize Israel’s northern fronts, precisely at a time (elections) when Israel needs and wants peace and quiet? This is the escalatory risk Netanyahu is taking. In recent years he has proven to be quite astute and cautious regarding the quiet, unheralded prosecution by Israel of its “campaign between the wars” against Iran and its allies and proxies. Is that era now liable to end because of Israeli domestic politics? Q. Finally, what signal does this send to Russia? A. Since its military entry to the Syrian arena on behalf of the Assad regime in September 2015, Moscow has successfully balanced its support for Assad, Iran and Hezbollah with its tolerance of Israel’s military interventions against all three. With Israel now taking official credit for more than 1,000 attacks by air, artillery, missile and commando raids, this could become more difficult for Russia. The prospective US withdrawal from Syria renders Israel more of a “lone wolf” player. The last thing Israel needs in the Syria-Iran context is military friction with Russia. Presumably, from his standpoint President Putin shares this sentiment. He is known to admire Israel. His Middle East ambitions do not include involvement in a war between Iran/Syria/Hezbollah and Israel. Moreover, Trump is so unpredictable that US involvement in such a war--or in some parallel conflict far from Syria involving Iran on one side and Israel and pro-western Sunni Arab states on the other--cannot be ruled out despite the current US withdrawal. Putin will need to read the strategic situation in Syria very carefully to avoid the “quagmire” Obama once warned him about and a head-on clash with Israel over Syria that no one wants. A. Syria offers a prime example of Trump’s lack of strategic understanding, ignorance of the Middle East, and erratic knee-jerk decision-making. Add in the unease generated in Jerusalem, Ankara and Syrian Kurdistan regarding Washington’s Syria withdrawal and the hawkish maneuvering of US officials like Bolton and Pompeo. We are left with a less stable Middle East. And that’s without factoring in the Palestinian issue. From Washington’s standpoint there can be no “ultimate deal” Palestinian peace plan for at least six months, until the next Israeli government is in place. Then there will be a countdown to more US elections and the complications of Netanyahu’s legal troubles. That’s an eternity: the Palestinians in the West Bank and those in Gaza might decide not to wait that long.